To me, the most truly amazing aspect of Cars Land is how immersive everything is. And the purest example of this is the rockwork of the Cadillac Range. 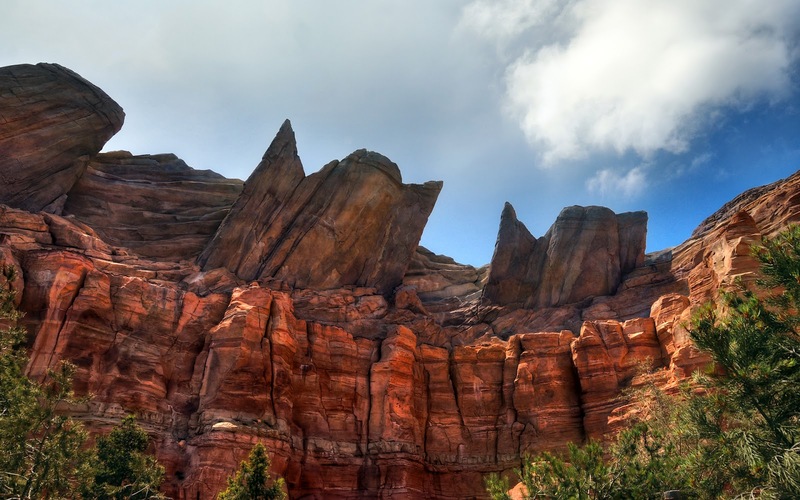 Step into the line of Radiator Springs Racers, and the rest of the park melts away. 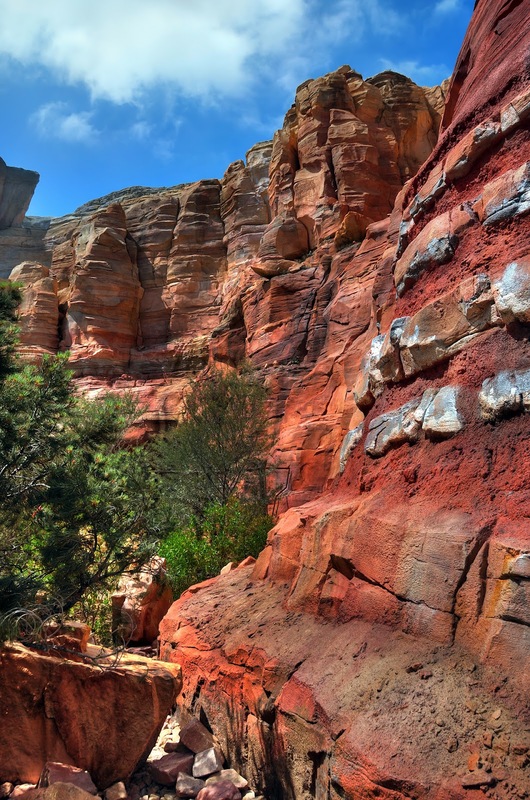 You are IN the desert off Route 66 as portrayed in the movie Cars, with geology so realistic you'd swear you were actually in the rugged southwest. The Cadillac Range, gateway to Ornament Valley. Anyone who has followed the construction of this project knows that none of the rocks are real. But the fact that they're so convincing is a testament to the amazing prowess of the artisans, sculptors, and painters who worked so diligently on this project. Their handiwork has created a themed land of utterly epic proportions, that transports guests to a completely different reality, without even signalling that it has done so. When I walk through Cars Land, and I allow suspension of reality, I often find myself questioning whether I'm in Southern California surburbia, or out in the Great Outdoors, within the rugged Wild West. So bravo to all the Imagineers and workers who've poured their heart, sweat, and soul into this project. The culmination is truly an amazing product, and it's made Disney California Adventure a source of pride for all local park-goers.